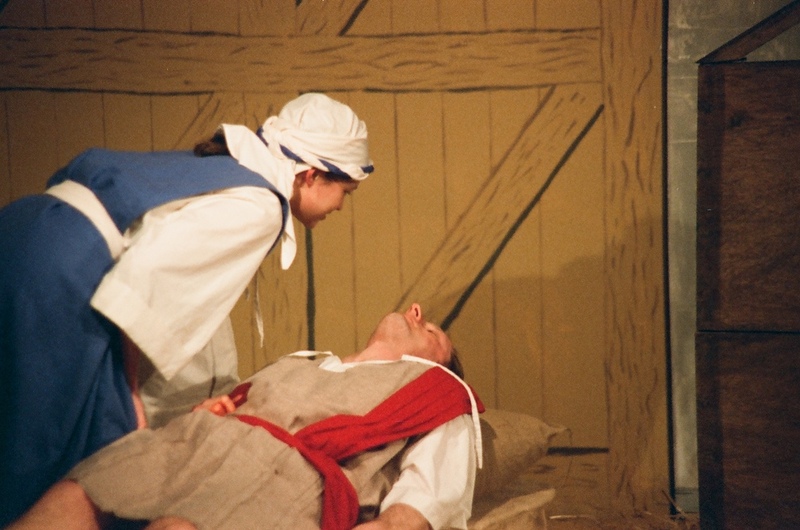 Alan Smith would go on to direct many productions for Derby Shakespeare Theatre company but his first was this in-house production of Elaine Morgan's 'The Soldier & The Woman' which he co-directed with Mark Hopwell, also one of DSTC's leading actors of the 1990s. 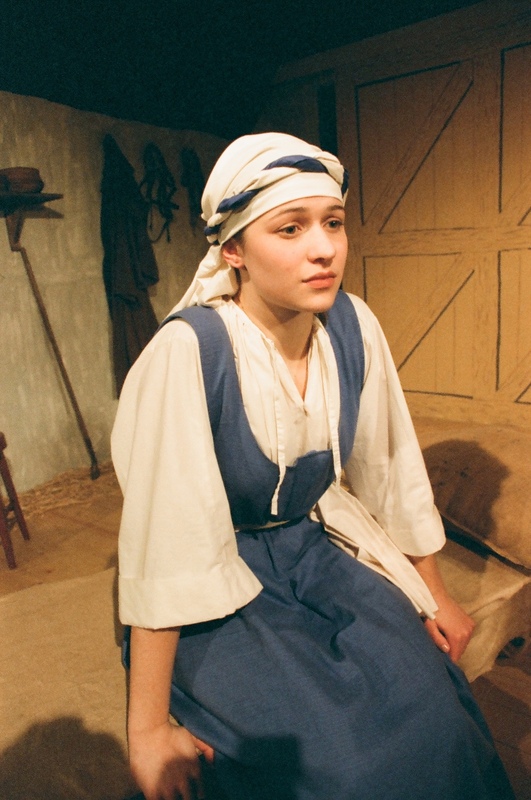 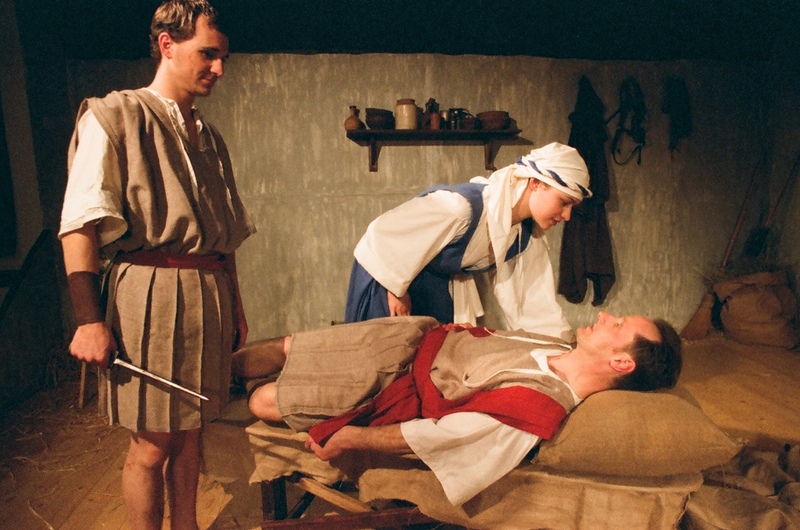 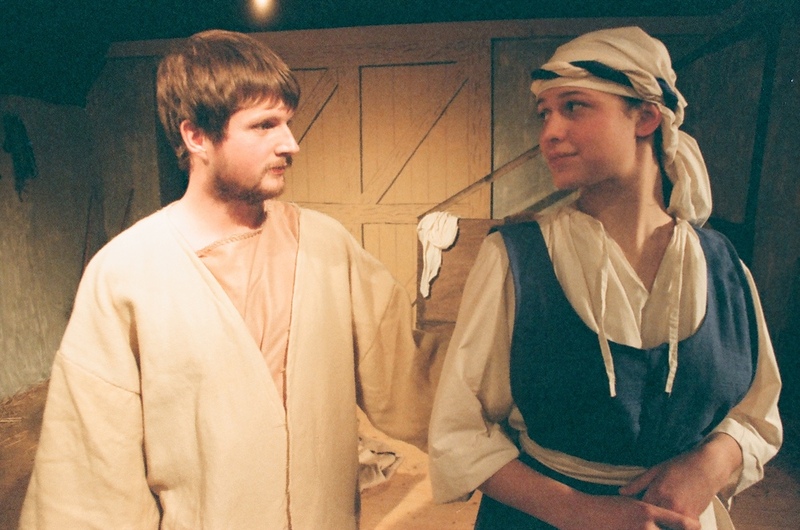 The show marked the first time the newly refurbished studio theatre space in Shakespeare House had been used for a production and it was wonderfully suited to serve as the intimate setting of the stable where Rachel, mother to a murdered son during King Herod's massacre of the innocents, fatefully meets a soldier who has mutinied and fled the slaughter. 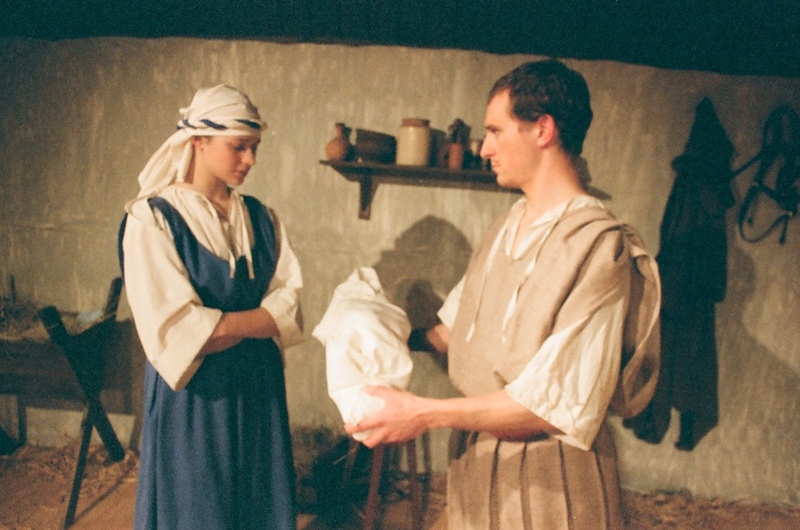 The cast were uniformly excellent and Shakespeare House has periodically been used for small-scale productions such as this ever since.